Talk about high-def. The fake heavy-metal band (a.k.a. Christopher Guest, Michael McKean and Harry Shearer) celebrates its 25th anniversary on sparkly Blu-ray. 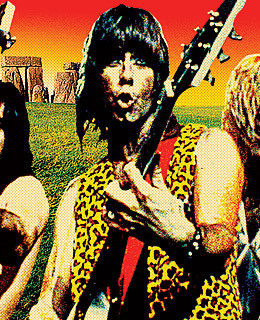 The pioneering mock rock doc looks great, and the edition's extras are as deadpan funny as the movie. On a scale of 1 to 10, this gets an 11.